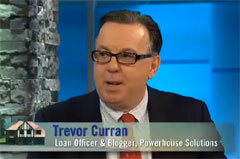 I created Tcurranmortgage.com to provide information about the mortgage industry in general and the homebuying process in particular. The articles I’ve written here reflect my observations as a first time buyer and a mortgage professional and the rich experience of a 29 year career in my field. I hope that you’ll find my advice useful in your search for a home and in dealing with the process of obtaining your mortgage loan, wherever you live, and wherever you make your mortgage loan application. In particular, I am proud of my “Useful Links” page as I feel the sites linked there—especially with regards to credit—are the most accurate and truthful sources of information I have found on the internet to date. Good luck to you on your search for a home! Please note the purpose of this site is for informational purposes only and is not meant to solicit or advertise mortgage services. I am not a Licensed Mortgage Loan Originator, and I am not affiliated with any residential mortgage lender/broker.